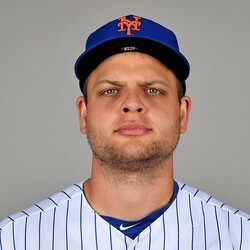 The Mets have signed catcher Devin Mesoraco to a minor league contract that includes an invite to big league camp. The 30-year-old was dealt to the Mets last season in exchange for Matt Harvey. He got off to a hot start but quickly faded, finishing the season with a .221/.308/.398 triple slash line. He'll serve as catching depth behind Wilson Ramos and Travis d'Arnaud.